Christmas is fast approaching, as is our last Make & Take of 2014. Therefore, it will come as no surprise that we are going to make something Christmassy and so we are going to make these cute little Christmas Trees!!! They can be used as "toppers" for your cards, gift tags or lovely ornaments for your tree. After I'd taken this photo of them all in a line, it occured to me they would make gorgeous Christmas bunting too! So come along this Friday, the 12th December to Horse Carrs Coffee Shop and I'l show you how to make them. The cost is just £5 and includes all craft materials and tuition. 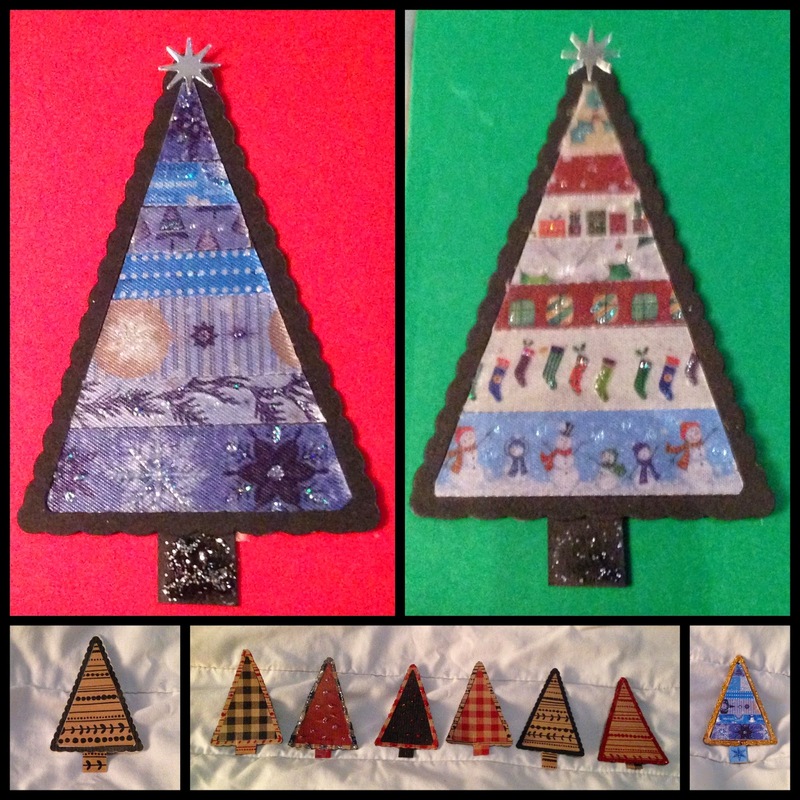 Here's a collage of all the little trees I made as samples for the workshop, the top two photos I used as cute embellishments for Christmas Cards. Don't forget, if you wish to take part in our Secret Santa, then just bring something wrapped that you've made or bought (for no more than £5) and we will have fun swapping gifts. Last year, I brought a necklace and earrings that I'd made and in return received a beautiful hand knitted black and silver scarf that went beautifully with my new black winter coat.